Stuck In The Buckosphere: Fairly quiet weekend... finally. More snow coming. Fairly quiet weekend... finally. More snow coming. This weekend was one of our first weekends that Dawn, Summer, and I stayed home with very, very little planned. 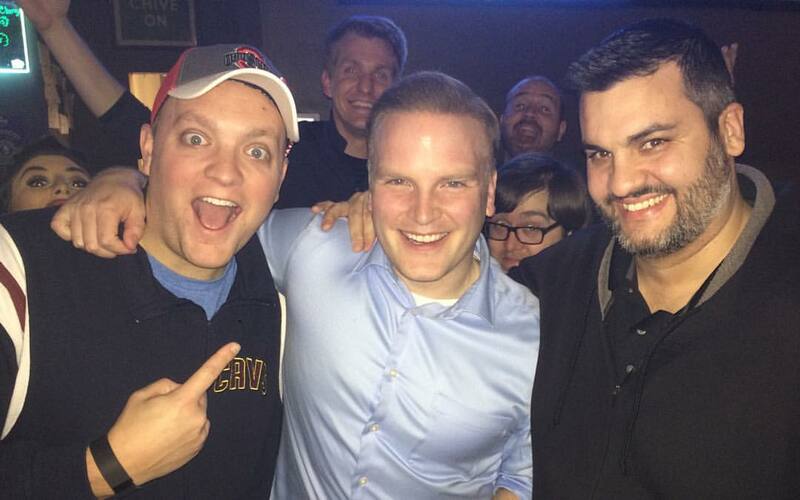 One thing that was sad was Adam Aaro leaving to go to Dayton to be the main evening anchor. Best of luck to him, but our loss is their gain. 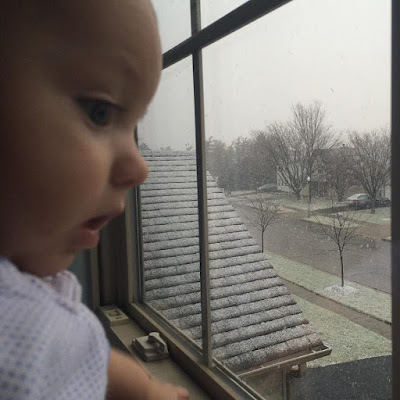 Summer got to see her first snow of her life. She loved watching the flakes falling. I explained them as a summer rain, but much colder. 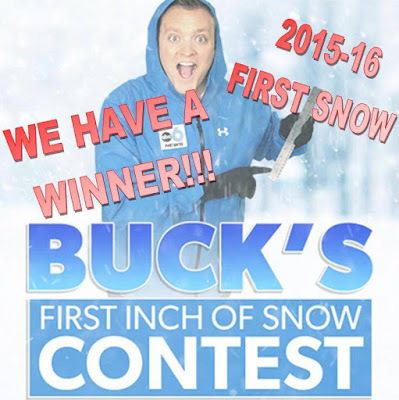 We saw our first inch of the year, breaking the record for latest first measurable snow. The old record for Columbus was January, 2nd 1929. Which means we finally ended Buck's First Inch Of Snow Contest. BOY, is it cold this morning! 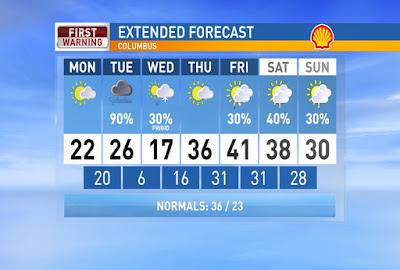 A cold, windy day ahead to start the workweek with some slick spots from Sunday's snow. 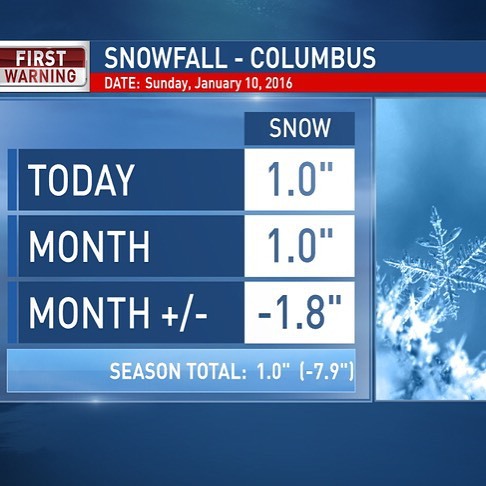 More snow arrives Monday night and will continue into Tuesday. 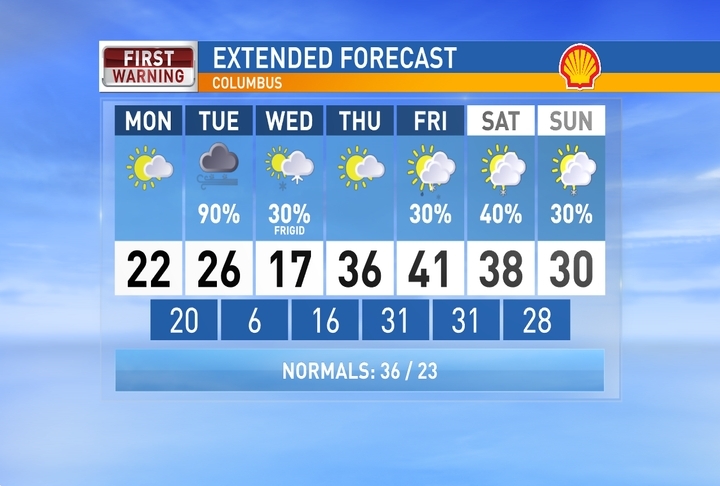 By Tuesday evening we can expect 1"-2" for most of Central Ohio with some pockets seeing closer to 3". Very cold air arrives Wednesday with morning wind chills as cold as -10. More light snow possible late Wednesday with a clipper system, mainly north. Have a good one! Big snow on the way?